Pledge to creating brighter future of students, Next Education empowers schools with technology-based K-12 solutions that are used by over 1,50,000 teachers and impacts 7,000,000 students across 7,000 schools. To make learning and teaching easier, more fun, and more effective, Next Education has developed 10,000 learning modules that account for more than 1,000 hours of classroom teaching at school and junior college levels. The modules have been designed using contemporary learning design principles and undergone testing on and off the field. The company’s products are learner centric and make teaching easier and more effective for teachers. The learning solutions cover the syllabi of CBSE, ICSE, Army and all State Boards and cover seven Indian languages. From Leh to Kanyakumari, Next Education service network is spread across the country. With its on-site service support, teacher training, and advisory services, Next Education is transforming the face of school education in India. The Next learning architectural is an experiential education model designed as a blend of extensive research by the team of educators within the Indian market segment and contemporary international learning design principles. The products designed cater to both the teacher and the student. The teacher becomes a facilitator for the student’s journey in exploring each new concept. And during the journey the student is encouraged to collaborate with other students and together build new cognitive models of the concept being taught. The dedicated team of technicians and trainers ensure a smooth set up and an effective implementation of the solution. The company has more than 400 personnel across the length and breadth of the country and ensures that they attend the clients’ problems within a week. The customer helpline makes sure that every customer’s voice is heard and acted upon. A product implementation is successful only if the customer uses it effectively. Our regular teacher training programmes ensure that schools are abreast with the latest features and additions in our products and continue using the solution effectively. The company aims to build a relationship and not just a transaction. Our development team constantly upgrades our products with the latest in syllabi and teaching methodologies. Teach Next: An interactive e-learning solution combining the best of new-age technology, creative and interactive tools. Next Books: An award-winning and engaging series of comprehensive curriculum books for pre-primary and primary schools. Next Deeksha: Training, accreditation services, and consultancy solutions for schools by experienced and dedicated in house educators. 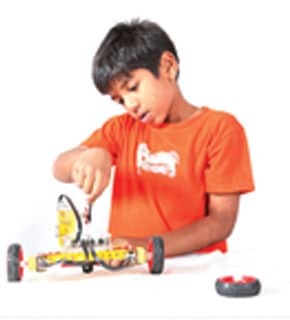 Next Lab: An experiential learning approach for schools enabling students to use hands-on activities to understand English, Maths, Science and Robotics better. Learn Next: An independent, engaging and intelligent platform which fosters self-learning, and helps students grasp complex topics easily. Next ERP: An integrated school management system which streamlines all processes, departments and functions of a school. Next Gurukul: An online K-12 community which facilitates collaboration among students, teachers, parents and principals. Next Learning Platform: An adaptive technology solution to provide teachers and students a platform to envision, explore and create individualised learning materials.